I have two months to prep for GMAT and I want to use the most effective resources for mock exams. I am looking at a target score of 740+. My weak areas are CR and DS. 1. I'm aware of Kaplan Premier 2019 and have been reading about GMAC test prep on this forum a lot. Please help! 2. Additionally, I'm soon going to be through with all the official guide questions. What would be the best question banks to use. Manhattan? 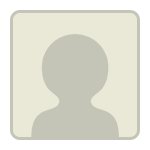 Hello and Welcome to GMAT Club ! 4. Kaplan and GMAT Club. are you going to prepare GMAT exam online via course or offline self-prep? Use Egmat for Verbal and TTP for quants. Supplement these online courses with gmatclub tests and I am certain that you will get a good score! 2. There are also two books that have official problems: the Official Guide to Quant Review and the Official Guide to Verbal Review. I'll also throw in a recommendation for the Manhattan Prep practice tests! The real advantage of them is that the diagnostics and the problem explanations are excellent, so they're particularly good to use when you're actively studying. Thank you so much. This is quite helpful! How you think through a question dictates how much time you will spend on different parts of a question stem and corresponding answer choices. This is the key for time management -- minimize the time you spend on parts of the question that don't matter! With CR, there's a lot of text to read. The key is to make sense of what's important and to ignore the stuff that is less important. That way you can go into the answer choices already with something in mind of what to expect. I’m glad you reached out, and I’m happy to help. 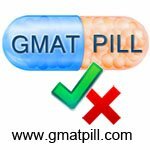 First off, I agree that since you are just starting out with your GMAT prep, you should take a full-length practice test from MBA.com to get a baseline score. The results of that exam will give you a bird’s-eye view of your strengths and weaknesses, and indicate how far you are from your score goal. Once you complete the exam, feel free to report back here, and I can provide some further advice. 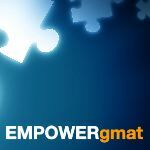 Regarding resources, in addition to chatting with folks on this thread, you should check out success stories of past GMAT students as well as reviews of various GMAT prep courses to see what prep materials have worked for other test-takers. Lastly, you may find it helpful to read the following articles about how to score a 700+ on the GMAT and how long to study for the GMAT. I scored a 650 in my initial mock. My break up was 47 in quants and 34 in verbal. I seemed to be poor at CR and DS. Other than OG, should I refer to Manhattan for these two? This 650 is a really strong initial CAT Score (the average Score on the Official GMAT hovers around 550 most years), so you're clearly a strong critical thinker - which is good. That having been said, you'll have to be really efficient with your studies over the next 2 months to hit your Score Goal - and you'll have to make significant improvements to how you handle BOTH the Quant and Verbal sections. Many Test Takers who use a 'book heavy' study approach end up getting 'stuck' at a particular score level. It's too early to know whether that will happen to you or not, but since you're dealing with a relatively short study timeframe, you have to be careful about committing to a book-heavy plan and inadvertently losing a bunch of study time in the process. Thanks for that encouragement. I will be applying to business schools this fall, for the batch of 2020. I'm primarily looking at Booth, Kellogg, Columbia and Insead. I know I have a very crunched timeline, but I'm quite determined to make it. As you pointed out, it's going to be more of a strategic game for me. For the next 2 months I can devote 1 to 1.5 hours daily on weekdays and 2-4 hours on weekends. I plan to take time off of work a week before my exam date. 1. CR and SC - I've completed all OG questions. But now I want to focus on various solving strategies and simultaneously practise questions. What are the advised resources? 2. DS- Finished OG. Should I purchase OG Quant or go for something else? 3. Mock Tests- Kaplan or MGMAT? There's a ton of feedback on these books and that has got me highly confused. Would love to have some clarity! In addition, which version(s) of the Official Guide have you worked through so far (re: which year/version)? During your OG SC studies, we encourage you to follow along expert video explanations to guide you in your thought process. Have you looked at reviews on GMAT Club of the top verbal courses? Also, do you need further advice on how to improve your GMAT quant and verbal skills?